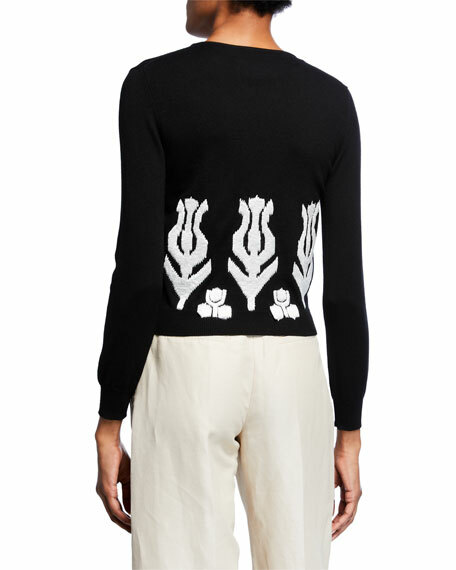 Oscar de la Renta cardigan in wool knit with rose motif. 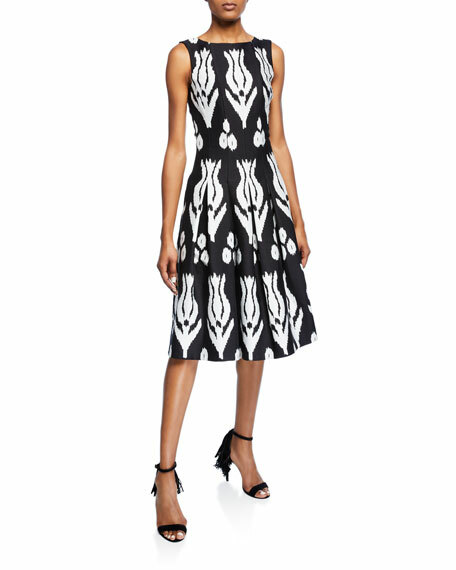 Oscar de la Renta dress in rose patterned twill. 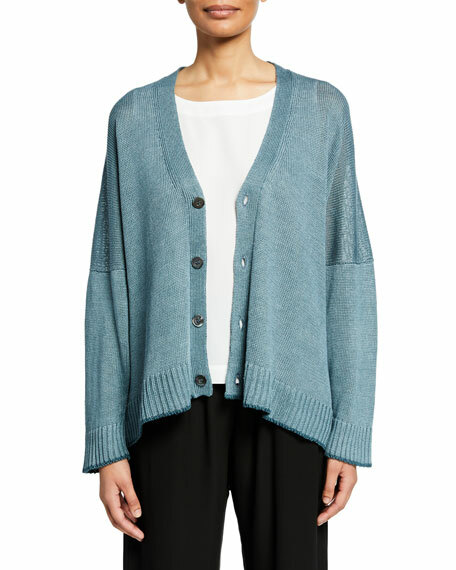 Altuzarra vest-style cardigan in wool knit with button details. 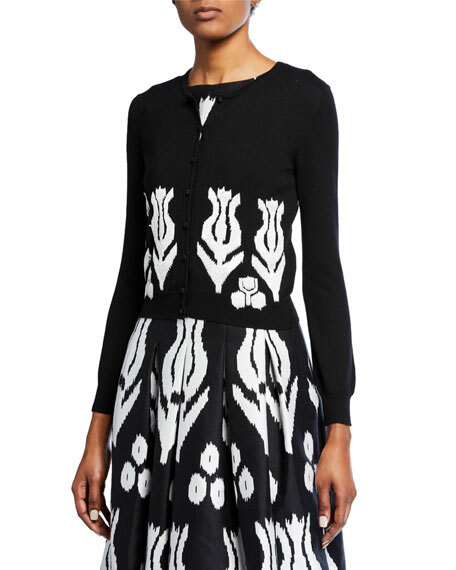 V neckline; button front. Long sleeves; cold shoulders. Hem hits thigh. Semi-fitted. Merino wool. Imported. 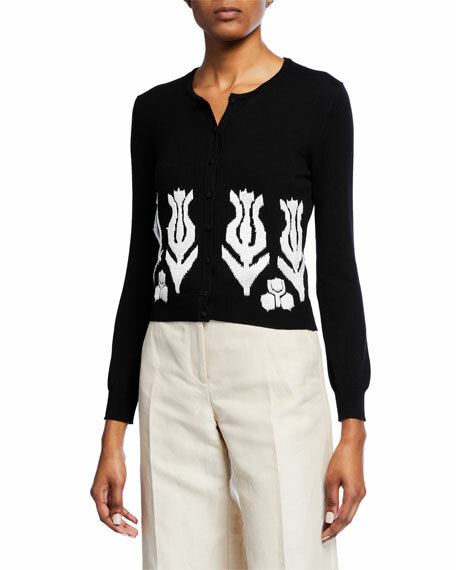 Co hand-knit crochet cardigan with beaded embellishments. 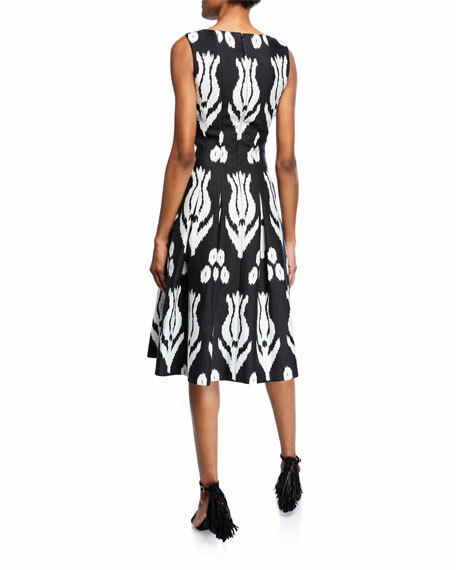 V neckline; button front. Long sleeves. Slim fit. Below hip-length. Wool/cashmere. Dry clean. Imported.